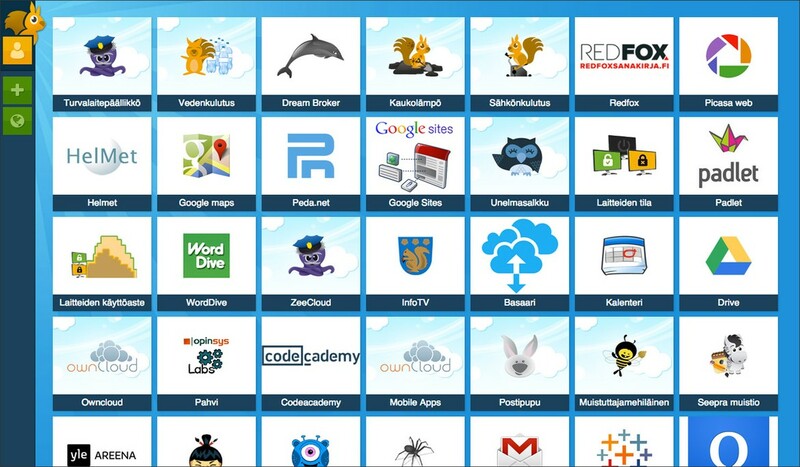 Dream desktop provides users the one place to access integrated services and web pages relevant to them. By utilizing Dream's single-sign-on (SSO), Desktop enables the access with one password query. You may also use Yubikey for extra security or for extra easiness. Thus you do not need to remember any passwords to access your email, document storage, student database, learning environment, enterprice's resource planning tools, helpdesk or what ever systems there might be in your use. Organising the content on the Desktop is quick and easy. 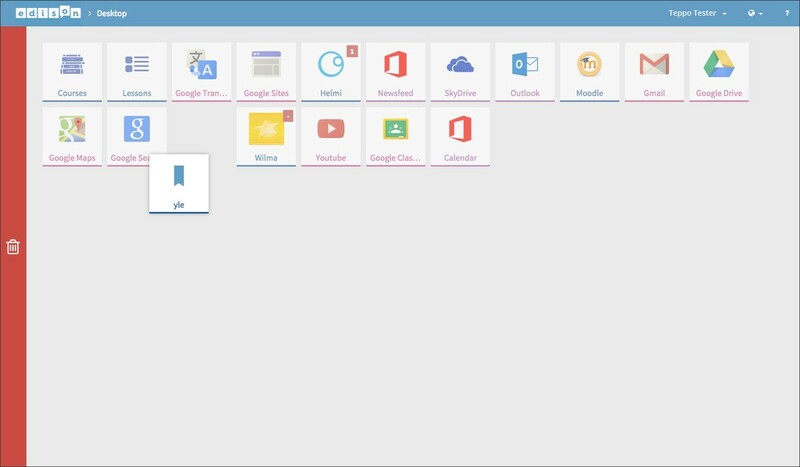 Just drag & drop in order to add, remove or reorder tiles so that they serve best your current situation. 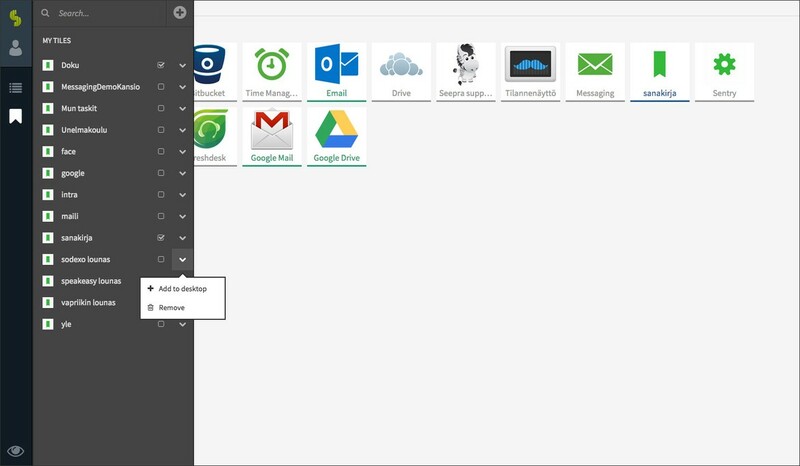 For example, a set of documents and files that you currently work with can be temporarily available on the desktop together with the more static tiles like access to email or some database. User may belong to several organisations, but use one Desktop - one access point. Each organisation can offer to its users relevant services, tools and web content, but in the end, the user has the control over what she has visible on the Desktop in active use.